Here’s one for those of you (oh, that includes yours truly) who have this thing for weird holidays and those who think that everything Steve Jobs touches turns to gold. I don’t know, but there is something about celebrating silly and unofficial holidays. Some may find it ridiculous, but I think that a little ridiculousness in life is necessary every once in a while. 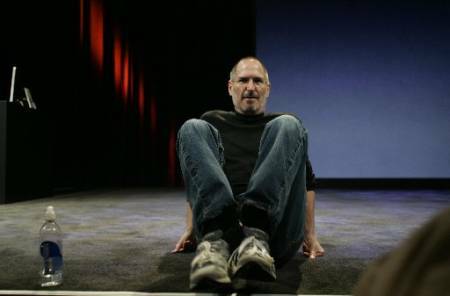 To honor the ongoing legacy of Steve Jobs, we are encouraging everyone to wear jeans and a black t-shirt/mock turtle neck for one day on Friday, September 9th, 2011. I guess every person will have his (or her) own reason to participate (or to not participate), but it is easy to figure out why the creators of Dress Up Like Steve Jobs Day have come up with the idea: to pay tribute to the charismatic guy who has made such an impact on the lives of so many people. While Steve Jobs might not be the most loved guy on Earth, he certainly has more than his share of followers – enough to have such a day as Dress Up Like Steve Jobs Day. So what do you have to do on Friday? The holiday does what it says on the tin: you dress up like the erstwhile CEO of Apple. Grab yourself a black turtleneck shirt – I think it has to be cashmere and silk and of course, it should have long sleeves. Then make sure you wear a pair of Levi’s 501 jeans and a pair of gray New Balance sneakers. Now if you don’t have those specific items, I guess a generic long-sleeve black shirt, blue jeans, and sneakers will do. The black turtleneck shirt is from St. Croix.